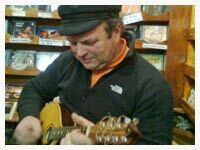 Jon is recognised as a leading exponent in drop D and DADGAD guitar playing, a virtuoso bouzouki player and tenor ukulele player. 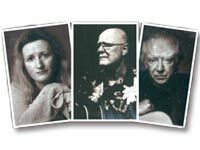 The latest podcasted session from the shop features Mick Hanly with Arty McGlynn & Nollaig Casey. 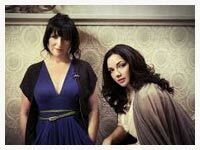 A-capella quartet Garland are the featured group in the latest podcast recorded in The Dingle Record Shop. 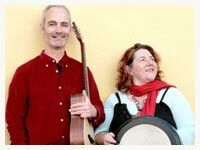 Garland perform songs of war, love, hunting and work with sea shanties from the days of Sail. 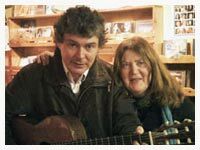 This week’s podcast from the Dingle Record Shop features John Spillane. Acclaimed as one of Ireland’s leading songwriters by legend Christy Moore, John sings some of his magical songs for you to. 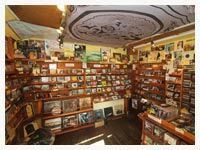 This week's podcast from the Dingle Record Shop features Back West. Playing a mixture of cajun, country blues and foot stomping folk music. 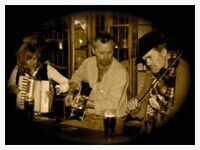 The band based in West Kerry comprise of Mike Smurwaithe, Patsy Farr, Rob Lowther, Mike Venner. 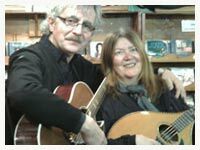 This week's podcast from the Dingle Record Shop on Green Street features Batt O'Connor. 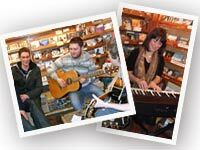 This week's session from the Dingle Record Shop features Laurence Courtney and friends. 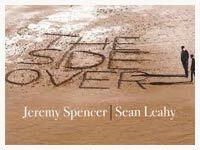 This week's session from the Dingle Record Shop features Sean Leahy and Jeremy Spencer Agus Aoi Speisialta (And Special Guest) Gráinne Ní Shé - Amhránaí (singer). This week's session from the Dingle Record Shop features an exciting local band with the combined talents of Patrick Sheehy (vocals), Sorcha Durham (piano),Éanna Durham (vocals/guitar), Paul Flannery (vocals/guitar) and Evan Hadnett (drums). This week's podcast from the Dingle Record Shop features Pota Dubh all the way from Scotland!